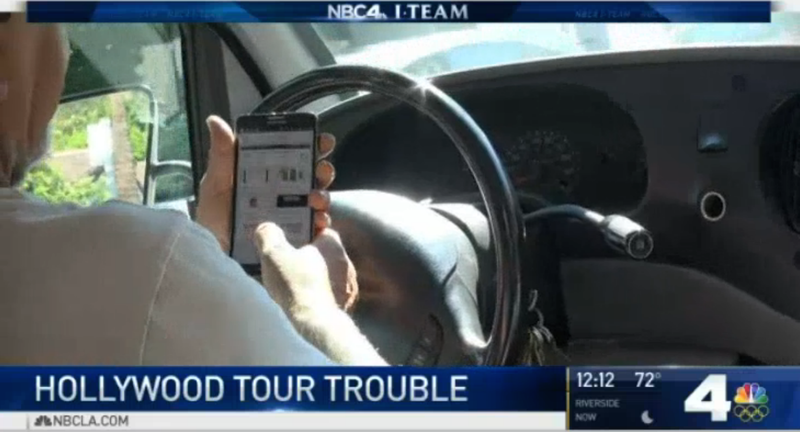 Last week we told you about the undercover report that found numerous Hollywood tour bus drivers charging top dollar to just point to random houses and pretend that celebrities live in them. But even if those vans and buses were telling the truth, a follow-up report shows that some drivers and vehicles are not fit to be on the road. 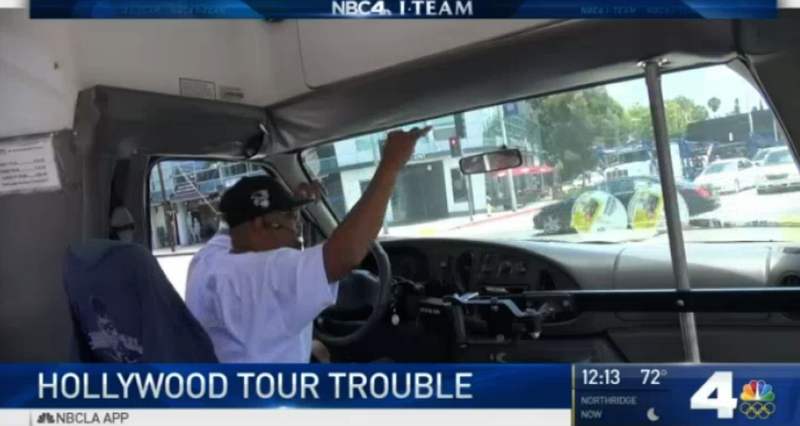 For the second part of its investigation into the wild west of the Hollywood tour bus business, the NBC Los Angeles I-Team looked at the defective buses and the unsafe drivers who put their paying customers’ lives at risk. 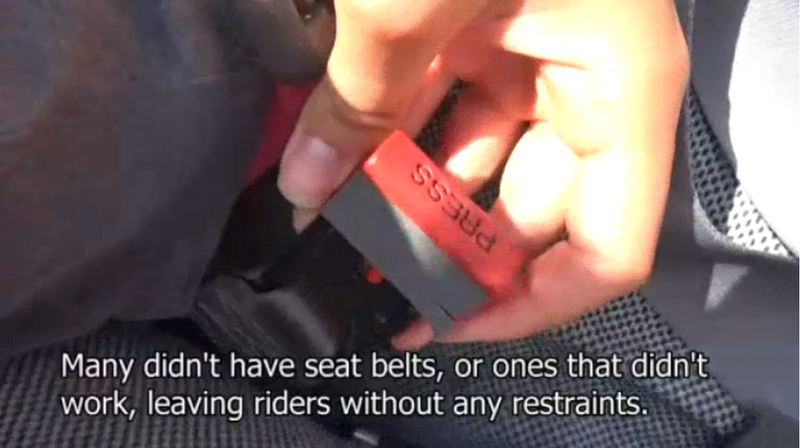 Video shot by reporters posing as tourists backed up this tourist’s account, pointing to numerous buses that either lacked seatbelts or where the seatbelts were rusted shut, rendering them useless. Some drivers were caught in the report either operating tour buses with suspended licenses or without the proper class of license to be operating a commercial vehicle. One company caught by NBC L.A. said it would cease operating until its license was sorted out, but instead it just moved its bus off Hollywood Boulevard a few blocks. Many drivers take their buses down roads where posted road signs make it clear that heavy vehicles are explicitly barred. One driver even points it out with a laugh to his passengers that it’s against the law for the bus to be going down this road. As you can see, drivers and pedestrians would have little time to react if a car comes racing around that curve.